Wedding Chicks Member: Shine Wedding Invitations Serving: Ships Anywhere See more: Portfolio Get Social: Facebook | Twitter | Pinterest | Instagram A few words from Shine Wedding Invitations:Shine Wedding Invitations is an online stationery boutique specializing in clean, simple and elegant wedding invitation design. 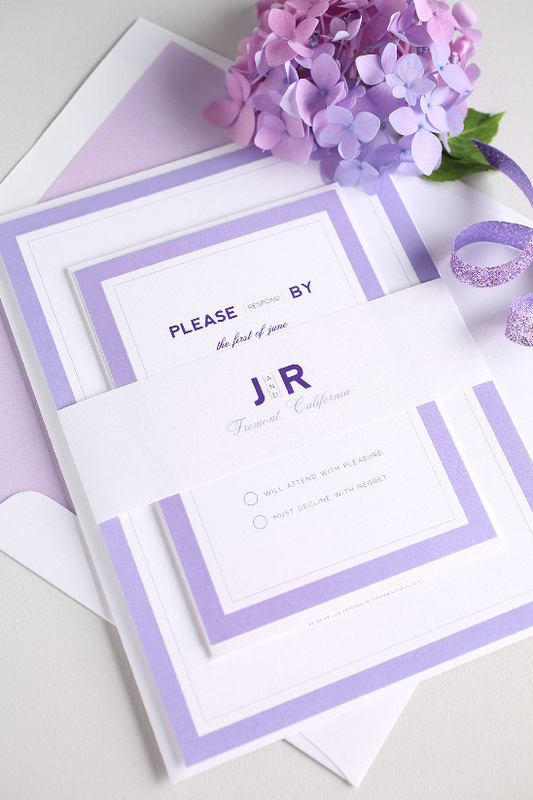 The invitation featured is their Modern Initials design, shown in amethyst and eggplant. Shine is based in Rochester, NY and ships worldwide. Free sample packs are available upon request.